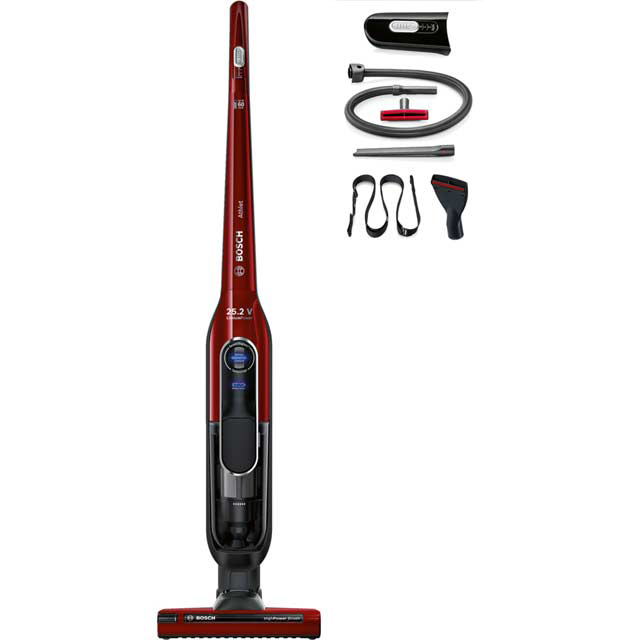 Make the housework effortless with this brilliant cordless vacuum cleaner from Bosch. It has a 60 minute run time from a single charge, which means you’ll have no trouble giving your home a good once-over. Whichever room you’re in, the motorised AllFloor HighPower Brush revolves super-quickly, achieving spotless results on laminates and tiles as well as carpets. And, thanks to the handy upholstery tool, removing dust from curtains and pet hair from the sofa is a breeze too. Clever SensorControl monitors the vacuum’s performance throughout, and lets you know when the filter needs changing. 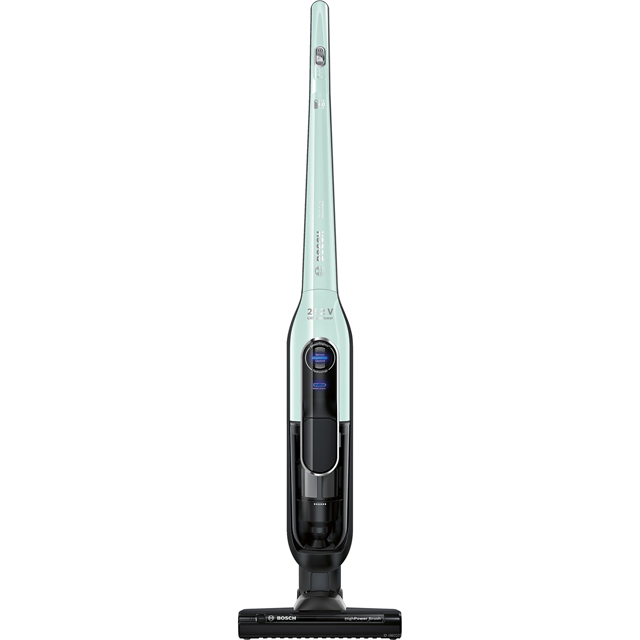 Combined with its durable long life motor, this model is guaranteed to give excellent results for years to come. Not as light as a Dyson but it certainly can lift up the dirt and dust. Takes minutes so happy hubby! Had our new vacuum for a week. So far so good does what it says on the box. Lightweight, long running time, can just put back on charge when used. We had heard excellent things about this hoover from friends and family so decided to invest. It is the best purchase we have ever made! Vacuuming takes half the time now, and the thing is so quiet you can have a conversation while using it. So compact and easy to remove/change parts. Our carpets look like they’ve been professionally cleaned. I am recommending this to literally everyone I speak to, it is incredible. The Bosch cordless is a great vacuum. The 3 settings are ideal for all carpets and floors and the Turbo setting is impressive. It is freestanding so no need to hang on a wall to charge it and it fully charges in 6 hours and can then be stored in a cupboard. It is slightly heavier than normal but has a shoulder strap for using the attachments. 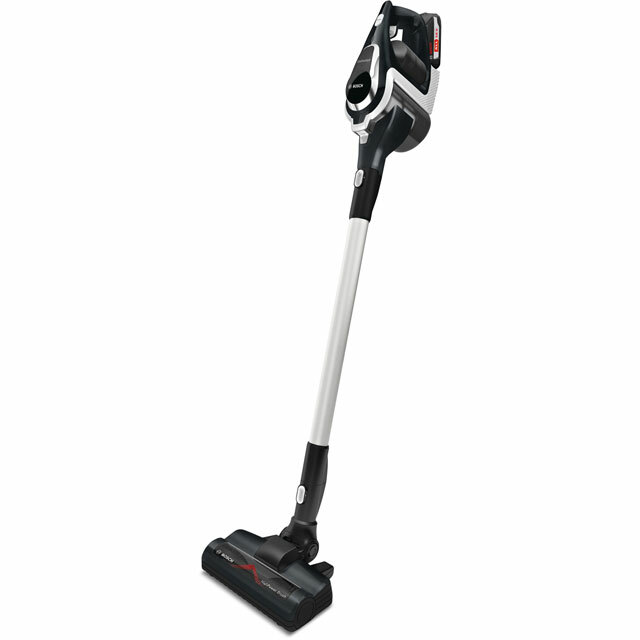 I would certainly recommend this Bosch as an outstanding cleaner and really good value for the price.